Encourage hands-on activities targeting letter recognition, word building, andinitial sounds with AlphaMagnets! These color-coded magnets help childrenlearn the difference between vowels (red) and consonants (blue). 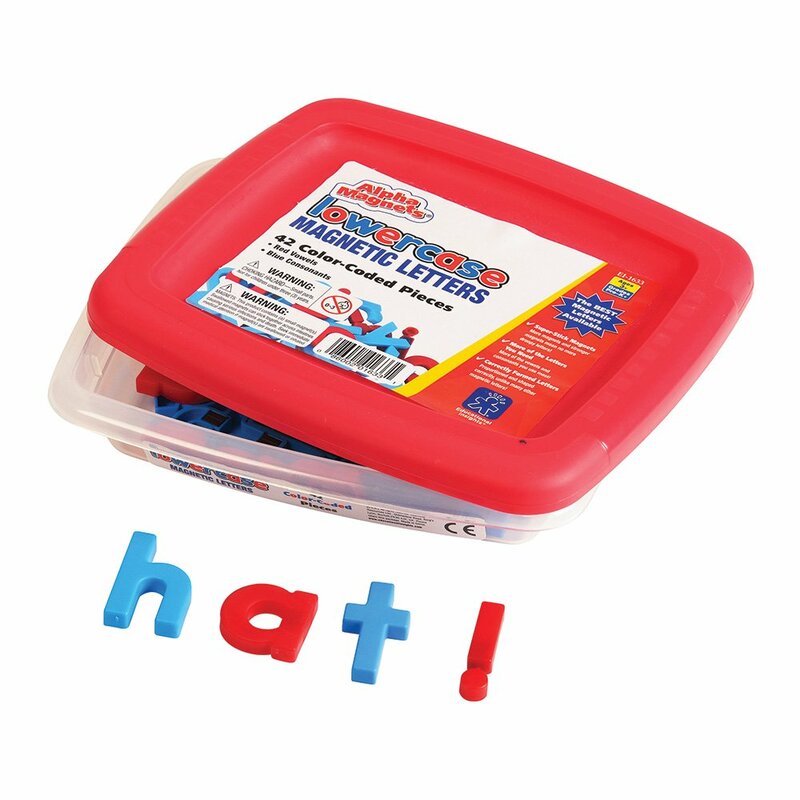 Set includes42 pieces with more of the most commonly used letters (a, e, i, o, u, b, l, m,r, s, t) and a durable tub for storage and easy cleanup. From the Manufacturer This lower-case magnetic alphabet letters comes with 42 pieces. Each letter is1-1/2 tall. Colors include red, blue, yellow, orange, green and magenta.